A new river anglers’ group is launching to fight for the future of UK rivers. Some of the UK’s best-known anglers, including Drennan Cup Winner Dai Gribble, angling author Dominic Garnett, barbel specialist Jerry Gleeson, lure expert Darren Starkey, eel angler and author Barry McConnell, international game angler Scott Graham, specialist pike angler Steve Burgess and Lincolnshire perch expert Phil Taylor have united to form the River Anglers’ Conservation Group (RACG) at a time when river angling faces unprecedented threats. 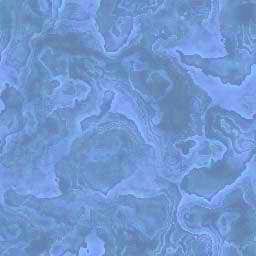 The group is also supported by geomorphologist and aquatic ecologist Dr Andrew Pledger, river conservationist Trevor Harrop of the acclaimed Avon Roach Project, and Andrew Tredgett of the River Lea Project, which recently featured on BBC TV’s Countryfile. All three have agreed to act as expert advisors to the new group. 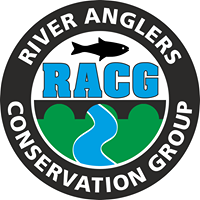 As well as campaigning, the River Anglers’ Conservation Group will organise fun fishing and social events at leading venues, where members can receive tips and guidance from some of the UK’s top anglers. RACG founder and chairman Matt Marlow said: “As anglers know only too well, there is hardly a river in the UK that is not under threat due to water quality, over-abstraction or predation issues – often all three. “To date, there has been no specialist group for river anglers irrespective of what species they fish for. “We want to engage in sensible, level-headed debate in a way that will gain the respect and attention of non-angling bodies, such as water authorities or wildlife organisations. Anglers by themselves can rarely achieve the progress needed. “It is vital we work co-operatively to achieve improvement in our river fisheries. Listening to our members will be a top priority. “We know there is no one-size-fits-all solution to the problems we and our rivers face. We will bring experience, specialist knowledge, enthusiasm, open-mindedness and a fresh outlook to the table. “Ultimately, we are all keen river anglers who love our sport and want to preserve, promote and improve it for everyone, now and for the future. Top specimen hunter Dai Gribble, a former senior Environmental Agency officer specialising in water quality issues, will be the RACG’s honorary president. Dai said: “There are a lot of water qualities, habitat and predation issues impacting our rivers, and you cannot take any one issue in isolation. There needs to be a nationally coordinated effort and I’m delighted the RACG has been formed to take on the challenge. The RACG will also undertake and advise on habitat improvement projects and develop a network of regional officers to collate knowledge for tackling conservation issues of local and national importance. In addition, the group will advise angling clubs and fishery owners on best practices in river restoration and share with the angling community how they can play their part in re-invigorating our rivers. Member benefits will include social fish-ins, teach-ins and advisory clinics on river habitat improvements, and a regular magazine exclusive to members. It will also forge links with other like-minded groups across Europe. or their Facebook page https://www.facebook.com/RiverAnglersCG. Sounds interesting, working with the backing of, but separate from, the Angling Trust. I have joined. Perhaps this is what TAC could/should have become. It could be worth considering merging what remains of TAC into this new organsiation. I will probably join but will have to find out about this face book thing first. You don't need facebook, just visit visit https://www.racg.co.uk/ direct. I think facebook might become history in the not too distant future, anyhow. but the problems we face at the moment is more then river fishing alone. There is a growing movement towards banning of Angling , because we are losing the media war. out and supporting Natural England in introducing species which fell in decline naturally due to the lack of food.